Photo: T. Psych via Flickr CC. The Organic Foods Production Act of 1990 (Public Law 101-624, Nov. 28, 1990) was passed to establish a uniform definition and regulation of organic foods in the U.S. The law provides the framework for development of a system for organic certification (7 USC Ch. 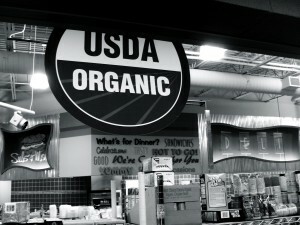 94, Organic Certification) for farms, processors, and handlers. 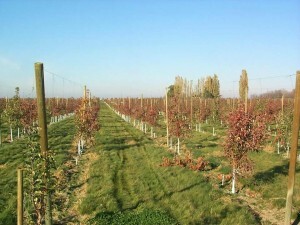 The varied organic certification programs and laws in place prior to the national law typically contained lists of prohibited materials for use in organic crop and livestock production and in organic food handling and manufacturing processes, based on the general principle of natural is acceptable, synthetic is prohibited. The Federal approach called for establishment of a “national list” that would delineate “allowed synthetics” and “prohibited naturals.” If a natural material was not on the list, it was allowed; if a synthetic materials was not on the list, it was prohibited. This was meant to expedite the process of material review by only debating the exceptions, not each specific allowed natural. The law called for the establishment of the National Organic Standards Board (NOSB; §6518) to advise the Secretary of Agriculture on all aspects of the national organic program, but with specific responsibilities for developing and maintaining the national list. The law specifies in §6518(h) Quorum that “a majority of the members of the Board shall constitute a quorum for the purpose of conducting business.” The law also defines “decisive votes” [§6518(i)] as follows: “Two-thirds of the votes cast at a meeting of the Board at which a quorum is present shall be decisive of any motion.” Thus, if the Board is considering a petition to add a synthetic material to the national list, it would take a two-thirds majority “yes” vote to approve this addition. The law also stipulates that each material on the national list undergo a regular review. This is known as the “sunset” provision [§6517(e)], with the following language: “No exemption or prohibition contained in the National List shall be valid unless the National Organic Standards Board has reviewed such exemption or prohibition as provided in this section within 5 years of such exemption or prohibition being adopted or reviewed and the Secretary has renewed such exemption or prohibition.” Thus, the sunset process required a “motion to re-list” with majority support rather than a “motion to remove”, thereby giving sunset control to the minority vote. 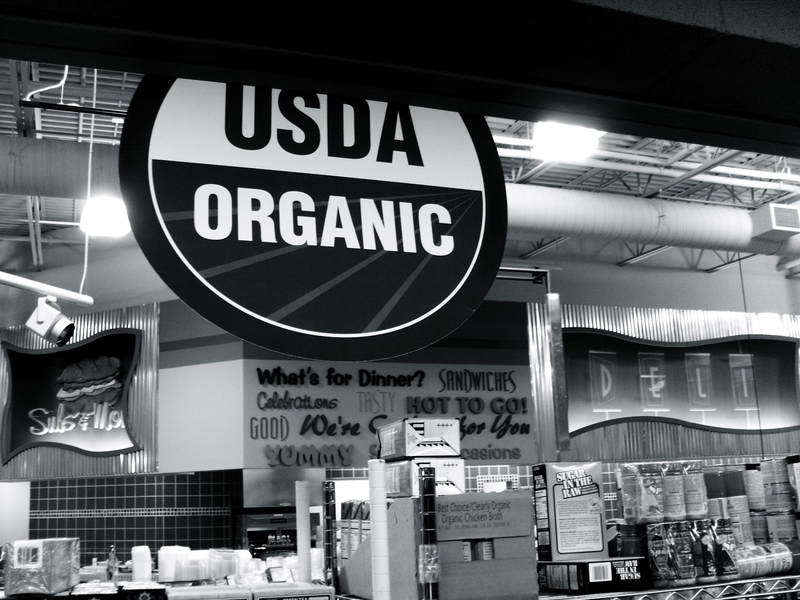 The National Organic Program (NOP) instituted changes to the sunset review process in the fall of 2013. One goal was to re-instate majority control and thus add stability to the entire material review process. Growers and food companies need significant lead time to make substantive changes in their production processes, and the removal of key production materials on the National List can lead to difficult disruptions of their operations and potential large reductions in supply of certain organic foods, just the opposite of both the desire of USDA and the general public in terms of growing the organic sector and increasing the supply of U.S. grown organic products. Another goal was to increase the opportunity for public and stakeholder involvement in the process. It has been and remains challenging to get organic growers in particular involved in the sunset process. In part, five years goes quickly and it often feels as though the debate on a material just happened. The NOSB meetings occur in the spring and fall each year, a poor time to compete for growers’ time and attention. And most growers do not fully understand the NOSB process, nor have the inclination to read the various documents pertaining to a material; they are too busy farming. The NOSB discussion on fire blight control was an example where inaccurate information was used by the board in its decision. With the new process, adding a material to the National List still requires a two-thirds majority “yes” vote; nothing has changed. The vote is on a “motion to add….” In the sunset process, the procedure was changed from a “motion to re-list” to a “motion to remove.” A two-thirds “yes” vote is required in either case, but in the former, it took two-thirds majority to retain a material on the national list, while under the revised process it takes two-thirds majority to remove a material. In part, this change was in response to the failure of the Board to consistently use a factual and science-based case why a material on the list, which had already been vetted by the supermajority for listing, should be removed. In various instances, for example, inaccurate information about available natural alternatives, one reason for de-listing a material during sunset, was used in arguments by Board members and in subcommittee documents. Materials are added to the list based on their established need by organic producers or businesses. The same level of rigor for adding a material was not being used in removing one, and the change in sunset process is intended to address this problem. Old System: Written comments could be submitted in a 30-day comment period prior to the NOSB meeting, and then at the meeting. Oral testimony was permitted at one meeting only, with limits on number of people. A material was publicly discussed by the NOSB at only one meeting. Current System: A material is discussed publicly by NOSB at two meetings. This means there are two 30-day periods for written comments, and two opportunities for oral testimony at a NOSB meeting. In addition, the NOP hosts two “webinar” calls prior to an NOSB meeting. This new process allows for oral comments to be heard by the entire NOSB without the time and cost for the commenter to travel to a NOSB meeting, a major barrier to participation. Old System: This system allowed for a motion to come out of the various subcommittees with a motion to re-list a material. This process required a majority (10 of 15) votes to re-list a material. Thus, a small minority (6 of the 15) could cause any material not to be re-listed. (This process gave the control to the minority rather than the majority. It also made for a very unstable process for organic stakeholders to try and build upon, not knowing when something that they were heavily reliant upon could come off of the list). Current System: This system allows for a motion to come out of the various subcommittees, with a motion to remove. This process requires a majority (10 of 15) to pass. (That motion would remove a material from the National List). Thus, a majority (10 of 15) must vote in favor of a motion for any material to be removed from the National List. (This process gives control back to the majority rather than the minority. It also makes for a more stable process for organic stakeholders that rely upon the materials on the N.L. to build their process, business, or farm inputs upon. It creates a fundamentally more stable base). There has been concern expressed by citizens and advocacy groups that the change has undermined the integrity of the national organic program. One criticism is that under the current sunset review, it is unlikely that materials will be removed from the National List. This is not valid, as evidenced by the materials removed at the fall 2014 and spring and fall 2015 NOSB meetings. These materials were removed when there was a determination by the majority of the NOSB that they were not longer needed in organic production because of a change in the process they were used in, or because a “natural” alternative became available that made the material on the National List no longer necessary. This is as the law was intended to work. Nowhere in the law does it state a goal to eliminate the entire list of Allowed Synthetics. In fact, the National List came into being under the Organic Food Production Act. It was devised as a mechanism to allow organic producers and handlers a way to have the needed non-organic substances for use, but it also provided the Sunset Review process to ensure that these substances got a periodic review. Organic pineapples ready for export (in this case from Ghana). The case of organic pineapple producers and ethylene (an allowed synthetic on the national list) illustrates the value of the new two meeting process. 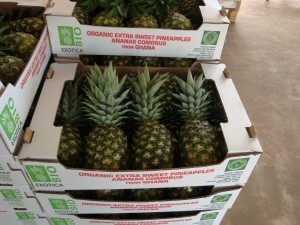 Most production of commercially grown organic pineapple comes from Costa Rica. Due to a change in communications personnel the Costa Rican growers were not aware that ethylene was already back up for the Sunset review cycle. Thus, for the first of the two required public meetings, they did not provide public comments. During the next open public period they provided oral public comments via the new webinar process, submitted 43 written public comments and had 11 organic pineapple producers fly from Costa Rica to the fall meeting in Stowe, Vermont to provide in-person oral testimony. Thus, the new 2 meeting process, along with the new format for providing testimony maintained use of extremely important material for this organic stakeholder group. The fact that materials have actually been removed under the new process shows that the process does still accomplish what the law intended. It takes a majority vote to place anything onto the National List, either an allowed synthetic or a prohibited natural. Why then should it not require that same majority vote to remove a material from the list, rather than a minority such as was the previous situation? Organic production has come a long way and it would be devastating to see us go backwards and give control to a minority that has already voiced its concerns about wanting to continue to remove many more materials from the N.L. The new system’s oral testimony process using the webinars also affords key organic stakeholders (e.g., the growers) the opportunity to step out of the field briefly to participate in a phone call webinar to provide oral testimony. Otherwise, the spring weather or fall harvest many times precludes them from to travel to an NOSB meeting to give in-person oral testimony. Thus, the oral testimony at NOSB meetings has tended to be quite skewed to non-grower participants (especially consumer and environmental advocates), which brings potential for bias in the process. Those that may suffer the biggest impact from a specific material de-listing (i.e. growers) have generally had a minimal voice at the meetings. The current sunset system has put the sunset process back into balance. It provides stabilization of the process and gives a base that organic stakeholders can trust and rely on as they build to the future. Uncertainty about key production tools would severely reverse the growth we have experienced in organic production and the expansion of organic products to almost any grocery store in most major cities across the country. Reversion back to conventional farming is a likely result of an organic oversight process that does not account for the risk involved in organic farming, and the time and effort required to adjust to new tools and techniques without suffering undue loss. Such an outcome is more likely if the sunset review reverts back to its former process…who wins then? Surely not organics or the consumer! This process change has shown how effective it can be. It has provided evidence that a two meeting process has benefits that hadn’t even been considered prior to its implementation. The new formatting of the Sunset Review process also has shown how effective it can be, with multiple materials being allowed to sunset, not because of individual agendas, but because the NOSB was able to determine that they were no longer needed by that particular organic stakeholder group. The process works, it provides stability for the organic stakeholders that rely upon these materials, but more importantly it enables the NOSB and the Sunset Review Process to function more effectively on their behalf. 2 thoughts on "The “Sunset Review” Process of the National Organic Standards Board"
I hope that the new systems will make possible the commercial use of natural components even if some modifications involving commercial processing is required to arrive at a compound that is present in nature. My example is chitosan. This material is present in nature and has some very valuable agricultural properties. In nature the compound chitin that is the most prevalent carbohydrate on earth (besides cellulose) is derived converted in nature to chitosan by a chitin deacetylase. Commercially chitosan undergoes the same modification of chitin via a chemical deacetylation. The acquisition of chitosan from nature is not feasible but chitin is available in vast quantities as a by-product of crab and shrimp shell wastes and as a result can be attained at a feasible cost for agriculture use. Chitosan can be and has been consumed at rates of 500 to a thousand milligrams per day safely by humans trying to reduce weight. It only seems plausible that its use as a substitute for some copper fungicides would be a boon to the interests of organic growers. Yet chitosan has never been approved for use by the NOP. The logic of their decisions is scientifically illogical. The new sunset process does not change the criteria for determining whether a material should be allowed for use in organic production. A good analogy to the chitin situation is the pheromone used for mating disruption of codling moth in apple. The pheromone is produced by the female codling moth, but it is not feasible to squeeze it out of millions of moths to make a commercial product. A synthetic version is manufactured, and that product had to be petitioned to the NOSB for inclusion on the list of allowed synthetics. The NOSB reviews petitions for such materials, and one cannot predict the outcome, regardless of the scientific merit of the supporting documents.